Once you start collecting large numbers of digital sources by searching for them or using an information trapping strategy, you will find that you are often in the position of wanting to download a lot of files from a given site. Obviously you can click on the links one at a time to make local copies, but that loses one of the main advantages of working with computers–letting them do your work for you. Instead, you should use a program like DownThemAll (a Firefox extension), SiteSucker (a standalone program) or GNU wget (a command line tool that you call from the terminal). Each of these automates what would otherwise be a very repetitive and thankless task. If you have never tried this before, start by getting comfortable with one of the more user-friendly alternatives like DownThemAll or SiteSucker, then move to wget when you need more power. You can also write your own custom programs to harvest sources, of course. There is an introductory lesson on this in the Programming Historian. Now imagine that you have a harvester that is not only capable of downloading files, but of extracting the hyperlinks found on each page, navigating to the new pages and downloading those also. This kind of program is called a spider, crawler or bot. Search engine companies make extensive use of web spiders to create a constantly updated (and constantly out-of-date), partial map of the entire internet. For research, it is really nice to be able to spider more limited regions of the web in search of quality sources. Again, it is not too difficult to write your own spiders (see Kevin Hemenway and Tara Calishain’s Spidering Hacks) but there are also off-the-shelf tools which will do some spidering for you. In addition to writing my own spiders, I’ve used a number of these packages. Here I will describe DevonAgent. DevonAgent includes a web browser with some harvesting capabilities built in. You can describe what you are looking for with a rich set of operators like “(Industrial BEFORE Revolution) AND (India NEAR/10 Textile*)”. Results are displayed with both relevance ranking and with an interactive graphical topic map that you can use to navigate. You can keep your results in an internal archive or export them easily to DevonThink. (More on this in a future post). You can schedule searches to run automatically, thus extending your information trapping strategy. DevonAgent also has what are called “scanners”: filters that recognize particular kinds of information. 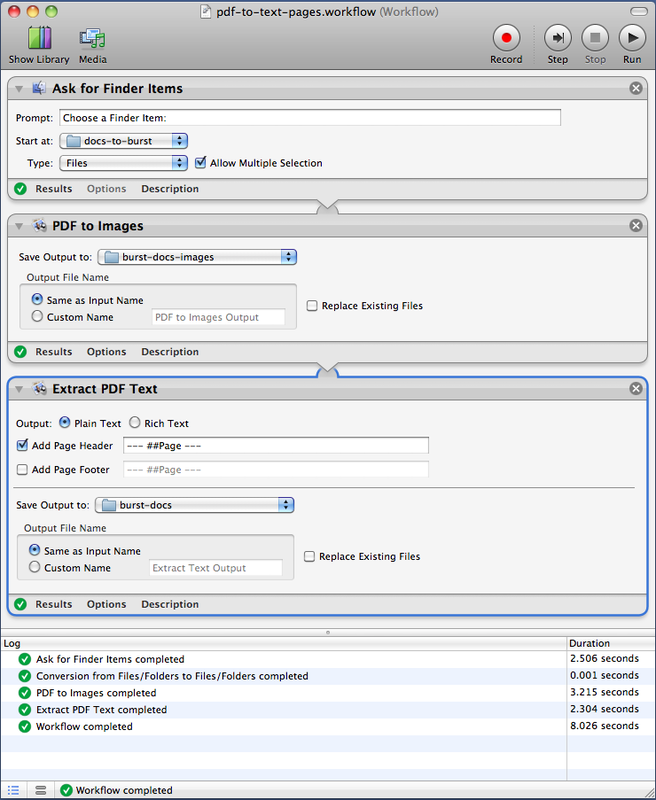 You can search, for example, for pages that contain PDFs, e-mail addresses, audio files, spreadsheets or webcams. You can also specify which URLs your spider will visit (including password protected sites). DevonAgent comes with about 80 plugins for search engines and databases, including sites like Google Scholar, IngentaConnect, the Internet Archive and Project Gutenberg. You can also write your own plugins in XML. Analog and digital. When I talk to my students about the difference between analog and digital representations, I use the example of two clocks. The first is the kind that has hour and minute hands, and perhaps one for seconds, too. At some point you learned how to tell time on an analog clock, and it may have seemed difficult. Since the clock takes on every value in between two times, telling time involves a process of measurement. You say, “it’s about 3:15,” but the time changes continuously as you do so. Telling time with a digital clock, by contrast, doesn’t require you to do more than read the value on the display. It is 3:15 until the clock says it is 3:16. Digital representations can only take on one of a limited (although perhaps very large) number of states. Not every digital representation is electronic. Writing is digital, too, in the sense that there are only a finite number of characters, and instances of each are usually interchangeable. You can print a book in a larger font, or in Braille, without changing the meaning. Salvador Dalí’s melting clocks, however, would keep different time–which was the point, of course. The costs are different. Electronic digital information can be duplicated at near-zero cost, transmitted at the speed of light, stored in infinitesimally small volumes, and created, processed and consumed by machines. This means that ideas that were more-or-less serviceable in the world before networked computers–ideas about value, property rights, communication, creativity, intelligence, governance and many other aspects of society and culture–are now up for debate. The emergence of new rights regimes (such as open access, open content and open source) and the explosion of new information are manifestations of these changing costs. You won’t be able to read everything. Estimates of the amount of new information that is now created annually are staggering (2003, 2009). As you become more skilled at finding online sources, you will discover that new material on your topic appears online much faster than you can read it. The longer you work on something, the more behind you will get. This is OK, because everyone faces this issue whether they realize it or not. In traditional scholarship, scarcity was the problem: travel to archives was expensive, access to elite libraries was gated, resources were difficult to find, and so on. In digital scholarship, abundance is the problem. What is worth your attention or your trust? Assume that what you want is out there, and that you simply need to locate it. I first found this advice in Thomas Mann’s excellent Oxford Guide to Library Research. Although Mann’s book focuses primarily on pre-digital scholarship, his strategies for finding sources are more relevant than ever. Don’t assume that you are the best person for the job, either. Ask a librarian for help. You’ll find that they tend to be nicer, better informed, more helpful and more tech savvy than the people you usually talk to about your work. Librarians work constantly on your behalf to solve problems related to finding and accessing information. The first online tool you should master is the search engine. The vast majority of people think that they can type a word or two into Google and choose something from the first page of millions of results. If they don’t see what they’re looking for, they try a different keyword or give up. When I talk to scholars who aren’t familiar with digital research, their first assumption is often that there aren’t any good online resources for their subject. A little bit of guided digging often shows them that this is far from the truth. So how do you use search engines more effectively? First of all, sites have an advanced search page that lets you focus in on your topic, exclude search terms, weight some terms more than others, limit your results to particular kinds of document, to particular sites, to date ranges, and so on. Second, different search engines introduce different kinds of bias by ranking results differently, so you get a better view when you routinely use more than one. Third, all of the major search engines keep introducing new features, so you have to keep learning new skills. Research technique is something you practice, not something you have. Links are the currency of the web. Links make it possible to navigate from one context to another with a single click. For human users, this greatly lowers the transaction costs of comparing sources. The link is abstract enough to serve as means of navigation and able to subsume traditional scholarly activities like footnoting, citation, glossing and so on. Furthermore, extensive hyperlinking allows readers to follow nonlinear and branching paths through texts. What many people don’t realize is that links are constantly being navigated by a host of artificial users, colorfully known as spiders, bots or crawlers. A computer program downloads a webpage, extracts all of the links and other content on it, and follows each new link in turn, downloading the pages that it encounters along the way. This is where search engine results come from: the ceaseless activity of millions of automated computer programs that constantly remake a dynamic and incomplete map of the web. It has to be this way, because there is no central authority. Anyone can add stuff to the web or remove it without consulting anyone else. Emphasis is shifting from a web of pages to a web of people. Sites like Blogger, WordPress, Twitter, Facebook, Flickr and YouTube put the emphasis on the contributions of individual people and their relationships to one another. Social searching and social recommendation tools allow you to find out what your friends or colleagues are reading, writing, thinking about, watching, or listening to. By sharing information that other people find useful, individuals develop reputation and change their own position in social networks. Some people are bridges between different communities, some are hubs in particular fields, and many are lonely little singletons with one friend. This is very different from the broadcast world, where there were a few huge hubs spewing to a thronging multitude (known as “the audience“). Ready to jump in? Here are some things you might try. Example. Suppose you are trying to find out more about a nineteenth-century missionary named Adam Elliot. If you try a basic Google search, you will soon discover there is an Australian animator with the same name. Try using Deeper Web to find pages on the missionary. Here are a few examples for various kinds of historical research. The digital world is a world of abundance. The most scarce resource in your research process is always going to be your own time. Ideally, then, you only want to pay attention to those things which absolutely require it–everything else should be handed off to computer programs. The digital world is also a plastic world, where anything can change without warning. Bookmarks are of little value, and the last thing you want to do is engage in a long and fruitless online search for something that you know you found once. What this means in practical terms is that whenever you look at something, you want your computer to have a copy of what you’ve seen. If you need to look at a source again to cite it, or quote it, or reread it in the light of new information, that source should be instantly ready-to-hand. You can accomplish this by always saving a local, digital copy of everything you read, along with basic metadata: who created it? where did you find it? when did you look at it? If you read something on paper, digitize and OCR it, then add the metadata to a bibliographic database. There are many options here. You can use Zotero in the Firefox browser on any platform. On the Mac, Sente, Bookends and Mendeley are all popular choices. (I’ve used all of these in my own research. Each has advantages and disadvantages, so you might have to try a few before settling on something that really works for you. The main point is that you need a bibliographic database, so choose one). If you look at something online, download a copy and OCR it if necessary. If you are browsing the web, take a screenshot of the information you want to keep, and OCR it. The Mac already has excellent built-in screen capturing abilities, but I also use LittleSnapper because it gives me more flexibility in what I save.